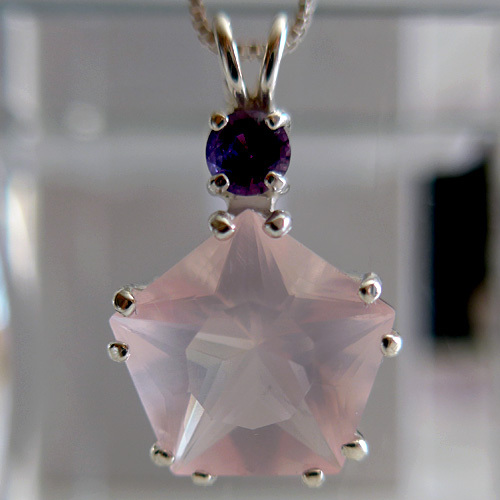 You'll marvel at the beauty and powerful energy of this Rose Quartz Star of Venus Pendant with Large Round Purple Amethyst Gemstone. The extraordinarily deep colored purple sapphire exhibits beautiful brilliance. This sterling silver pendant comes complete with its own sterling silver chain and velvet jewelry box. This lovely new design is a five pointed star, celebrating man's union with earth and creation through the harmonious interaction of the five elements. According to the designer, this Star of Venus pendant is a wonderful tool for shedding burdens and for revitalization. It brings clarity and balance, insight and aligment with the Divine flow. It has been historically used for protection and invocation. Sapphire, known as a "stone of prosperity" can bring peace of mind, help one to focus & can assist in all aspects of healing for the body. It can aid in working with the throat chakra, and can therefore enhance communications. Sapphire is good to unify our body/mind selves with our higher purpose, our astral & intuitive bodies. 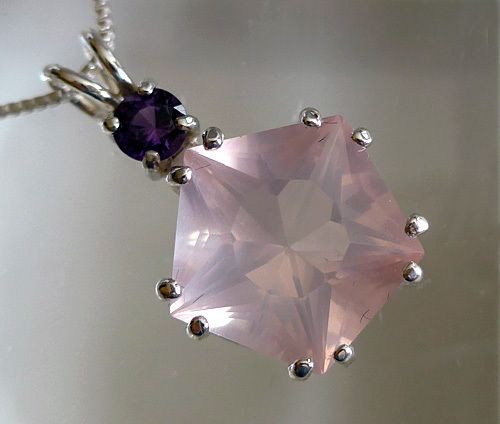 The purple sapphire has been a favorite of royalty and Magi for millennia, hailed by gemologists and wise men in both the East and the West as a sovereign protective stone, ideal for use in the king's court, reserved for the highest caste in India and the royal families of ancient Europe. Hebrew tradition tells us that the Ten Commandments were presented to Moses on tablets of sapphire. Ancient necromancers utilized the sapphire as a skrying stone, able to help prognosticators unravel the riddles received in divinatory meditations. The purple sapphire resonates with the energy of the open crown chakra, which is associated with the colors purple or violet in the Western Chakra system, and connects the bearer with the energy of Divine Wisdom. 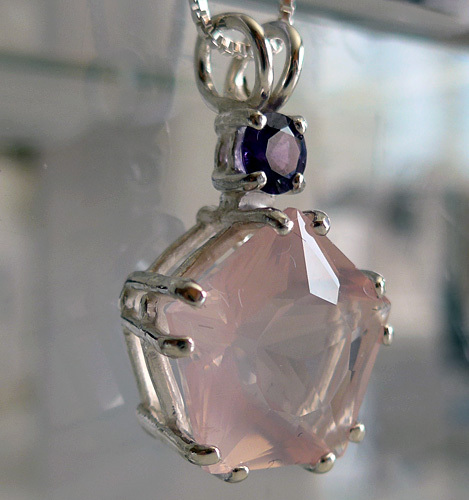 The purple sapphire is an Ascension Stone, and helps to activate dormant kundalini energy, clear the spinal pathways for the uprising flow of kundalini energy, and open stuck chakras throughout the body, facilitating the bearer's spiritual practice, and creating a sense of peace and unity during meditative practices. 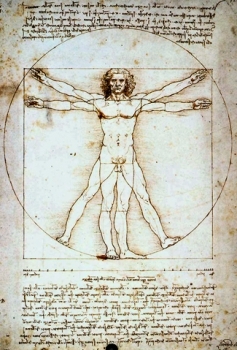 The colors violet and purple are the colors of the seventh, or crown chakra, in the human energy body, and the Violet Ray is the Seventh of the Seven Rays of Creation. The Seventh Ray is one aspect of the Holy Spirit, a combination of the blue flame of faith and the pink flame of love. 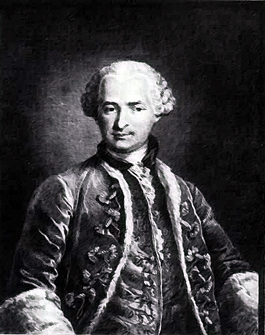 Many of these modern acolytes of the Great Alchemist utilize crystals and gemstones thought to resonate with the energy vibration of the Violet Ray, under the guidance of Master St. Germain for purification and to raise the kundalini energy in a quest for Unity Consciousness. Such crystals and gems include especially amethyst, that violet colored form of quartz once so favored by the Pope and Bishops of the Catholic Church, and the purple sapphire, stone of royalty and of sensuous opulence informed by Spirit. Note: Weight above is shipping weight. Net weight is .2 ounces.